Philip Grossman is the Senior Director for Media Technology and Strategy at The Weather Channel, where he evaluates and develops the channel’s technological roadmap. He’s also a drone operator, photographer, and member of the Professional Society of Drone Journalists. 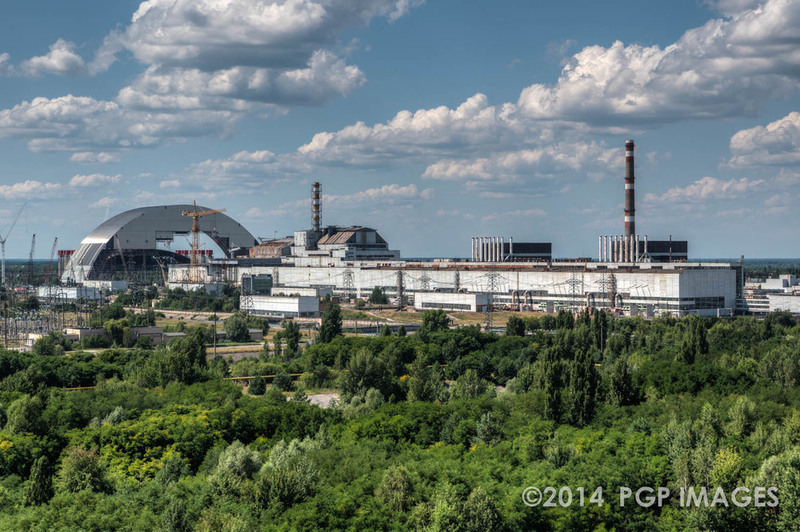 Grossman was kind enough to answer some questions about his ongoing photography project, which takes him inside the exclusion zone of the world’s worst nuclear disaster – Chernobyl. 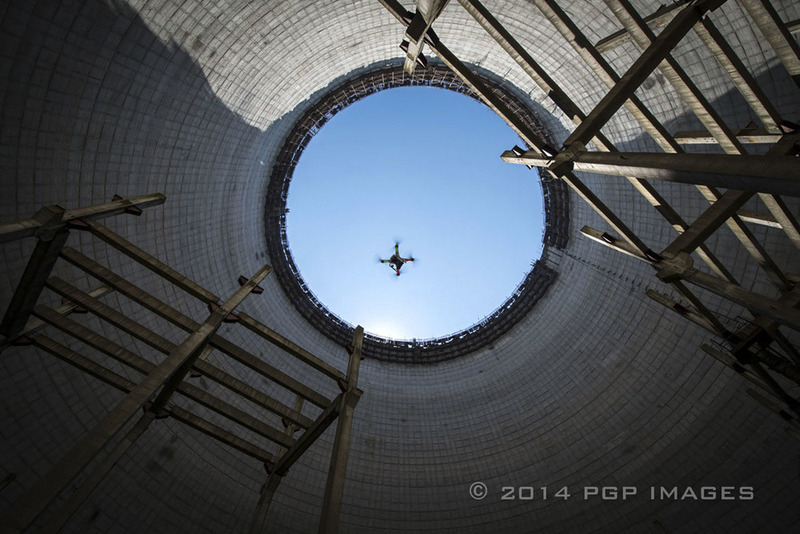 He is perhaps the only person to ever fly a drone of any kind inside one of the most radioactively contaminated sites in the world. Could you tell me about your role at The Weather Channel? I am the Senior Director Media Technology and Strategy. I am responsible for evaluating and developing the technology road map and strategy for media production for the weather channel. Prior to this role, I was the Senior Director for Content Acquisition and Management where I architected and implemented one of the most open service oriented content acquisition and management platform. What got you started using unmanned aircraft, and what kind of drones do you fly? 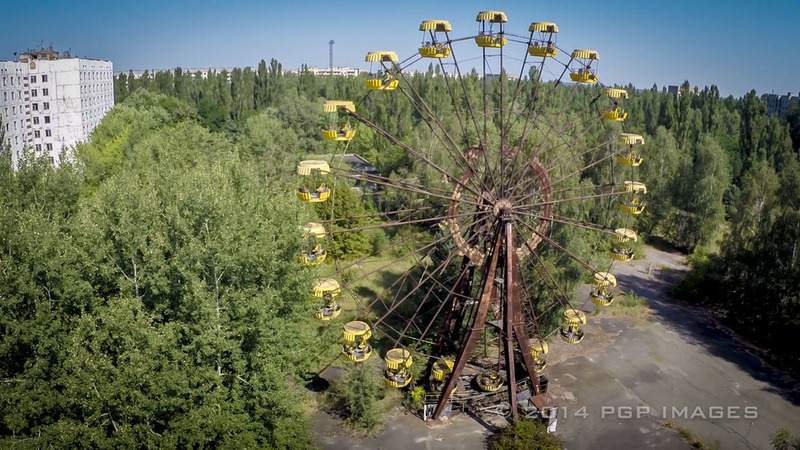 I have been an instrument rated pilot for almost ten years, but haven’t been able to fly as much as I wanted to do to new “hobbies” one of them being my Chernobyl project. After my second visit my partner in Poland and I were planning our third expedition. The first two expeditions included a helicopter flight over the zone, but we just couldn’t get close enough to what we wanted to capture. So I started researching drones. Luckily for me, I live near one of the largest DJI dealers in the US, Atlanta Hobby. Cliff and his team were great providing me the answers to about a thousand questions I had regarding drones. For the trip the most important item was portability as I was traveling 9,000 miles from home into a region with no access to simple things like batteries. I started looking at the DJI 450, but wanted to fly a better camera then the GoPro 2 at the time. So I had a DJI 550 built, and while that was being built I discovered the DJI S800 (it was just released) and knew that was the right drone for the trip because it was packable. It came apart and fit in a Pelican 1620 case. I received the drone about 3 weeks before the departure date of the trip so I had very little time to learn how to fly. I did manage to crash it once during my training (about $600 in damage), but the team at Atlanta Hobby got me back up in the air quickly. As far as we know, it was the first drone flight ever in the Zone of Exclusion (3 years ago). I managed to have 12 flawless flights even though on many occasions we were pushing the boundaries of where we could fly, how far we were flying and how high we were flying. It wasn’t until the 13th day of the trip and the 13th flight (and later realized it was also May 13th) that we had a failure in flight. I had a motor die on take-off and lost control of the drone. It started to auto rotate and eventually came crashing to the ground. The camera survived, but unfortunately I did not have enough replacement parts with me to get it flying again. After returning to the states I replaced the drone with a S800 EVO (then sold that quickly when the S-1000 came out). I have also since purchased a DJI Phantom (that is what went with me on the last trip) and I have a FLYING-POV xFold 8 being built for me right now (it is large enough to carry a red epic). So as you can see it has become an addiction for me. What brought you to Chernobyl, and what do you aim to accomplish there? 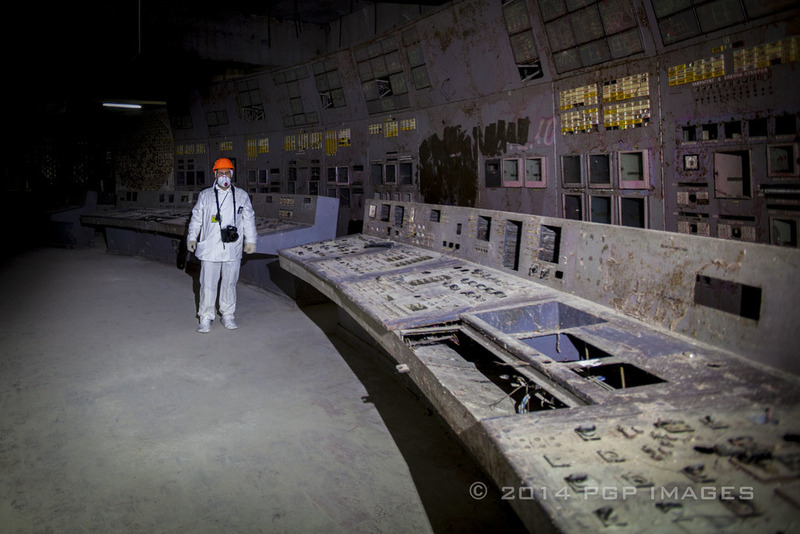 Chernobyl started as a personal photographic project. I had left corporate America and was planning on taking a year off and focusing on my photography. My girlfriend Elizabeth Hanson had been pushing me to do more fine art work after several successful portfolio reviews by gallery and museum curators. All liked my work, but I received a very similar comment “there doesn’t seem to be a cohesive body of work,” so I set out to create one. I wanted to choose a topic that was very different and had fewer people photographing it. I grew up near Three Mile Island (11 miles) and remember the accident (I was in the 3rd grade). I am also a degreed Civil/Architectural Engineer and have had a fascination with system failures and their causes. On that first trip I managed to gain access to the control room of reactor number 4 the site of “ground zero” for the accident. I thought this would have been a once in a life time trip, however, several months later my partner from Poland called me up again and said he was going back and did I want to go. I didn’t think twice. And since then it has sort of become a passion/obsession to learn more and visit more locations in the zone of exclusion. I have now spent over 31 days in the zone and am planning a return visit very soon. I have had a gallery show in NYC with 40 of my images and am now working on a documentary. It has been tough trying to figure out the “story” that I want to tell as there as so many. 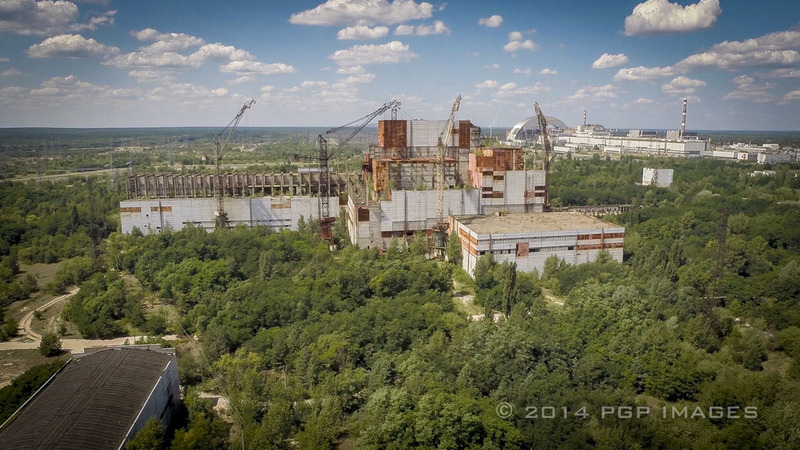 But I think I am going to keep it simple and just do my documentary on “Exploring Chernobyl”. The response I get from people a lot is “what is it like there” or “I would love to visit and see it”. How have you used drones as a part of your project? Drones have become a bigger and bigger part of the project each trip because they allow me to get a different “perspective”. As the adage goes, “you don’t like what you see, then change your perspective”. The last trip we shot about 18 hours of material in 4K with the drone footage being shot in 2.7K because I took the Phantom due to its compact size and the issues going on in the Ukraine with Russia, I did not think it would have been smart to take a large drone into the country. I was also traveling alone (no production assistant) and I maxed out at 168 lbs of gear and had no room for a larger drone. The next trip however, we have planned for taking a larger drone to document more of the zone in 4k from the air. How do you see your profession being changed by the use of unmanned technology? To be honest I hate the term “unmanned” technology. It is manned, just not from a cockpit. I am on the ground controlling every aspect of the flight. That being said, again I go to the adage about “changing perspective”. By providing images from a different perspective, one is able to tell a more complete story. Each perspective (ground, tripod, slider, drone) provides a different way to tell a story. It’s sort of like “triangulation” by providing various reference points one can figure out where they are. By providing various perspectives, one can figure out the story more completely. 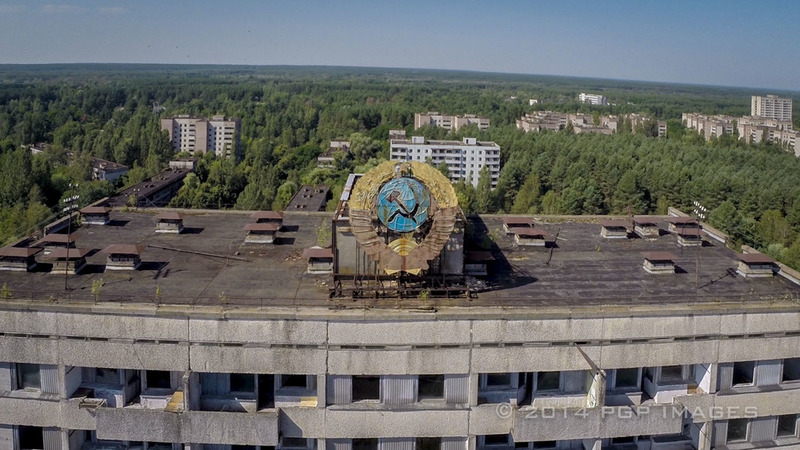 What is Chernobyl really like, both from your vantage point on the ground and from the perspective in the sky? From the air you get a completely different perspective, the city seems more “dead” from the air whether it be from a 100 feet above with the drone or a few hundred feet above in a helicopter. The thing I have noticed the most over the years of visiting is the number of buildings now collapsing.